“A voice is heard in Rama, weeping and great mourning. Rachel weeping for her children and refusing to be comforted, because they are no more”. Today Peshawar witnessed a similar massacre. An Army school was attacked by gunmen who climbed the walls, shot the guards, and roamed the classrooms, hunting children. Perhaps 130 people were killed, mostly from gunshot wounds to the head or chest. It is an unthinkable act. It is beyond adjectives. It is beyond description. No doubt analysts and journalists will spend much of their time over the next few days expending much energy discussing the implications. What of the ongoing army offensive against the Taliban? What of the government’s position? What will the army do? How will this affect Pakistan’s political situation? How will Imran Khan respond? Perhaps this is a normal human reaction; an attempt to obtain some kind of sense from an act of senseless cruelty. A way of rationalising it, analysing it, thinking in pleasant abstractions about broad concepts like civil governance, army policies, security procedures, ways of preventing it happening again. 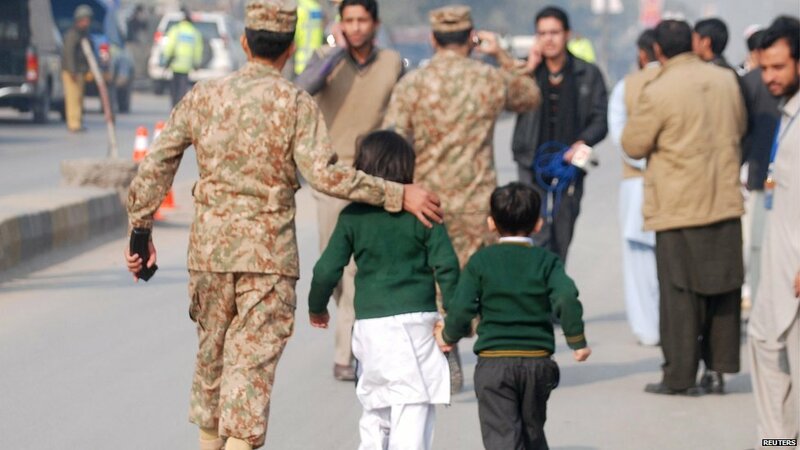 I was going to do the same: write about militancy in Pakistan, about how this kind of terror is rejected by an overwhelming majority of Pakistanis, about how untypical this is of Muslim people, about….about anything, because doing so would take my mind off it, and right now the image of gunmen roaming the corridors of a school while tiny children as young as my own cower under their desks and weep in terror is haunting my thoughts. A hundred and thirty kids. One hundred and thirty kids. I came home from work early. My kids came racing to the door when they heard my key in the lock. We had dinner, and I read them a bedtime story, and they went to bed. I will sleep soon, comfortably and in peace, but across this beautiful and perplexing land the voice of mourning can be heard, echoing around the fog-draped cities and fields like a dark mist. I have spent the last four years of my life living in a country that is 97% Muslim. Before that, I frequently travelled to Muslim countries such as Syria, Jordan, Turkey, Morocco, and Zanzibar (a strongly Islamic island belonging to Tanzania). I have studied the history of Islam extensively. My landlord is a Muslim, most of my friends in Pakistan are Muslims, many of my friends back in the UK are Muslim, and in the UK I lived in a town which was 25% Muslim. I am also a committed Christian. Is there a contradiction here? Not a bit of it. We live in turbulent times marked by division and mistrust. People in Europe are increasingly wary of Muslim people – in recent elections nationalist parties made large gains in the UK, France, Netherlands, Greece and Austria. Many people watch the news about Islamic State and terrorism around the world and link it to the Muslims they see in their neighbourhoods, even though only a minute fraction of Muslims worldwide are involved in terrorism. I have heard several Christian preachers give talks on Islam which are brimming with suspicion and hostility. 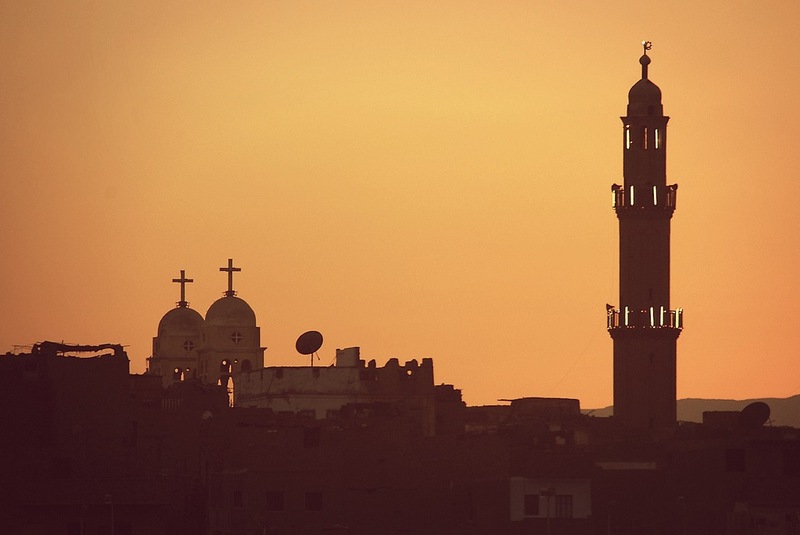 So you might think that a committed Christian like myself would be similarly brimming with hostility towards the Muslim people among whom I live. But I’m not. Not at all. Not even close. 1. Because Islam and Christianity are really quite similar. Shocking, isn’t it? Yet they are both monotheistic religions, share a number of fundamental beliefs, and recognise characters such as Abraham, Moses, Job, David, Solomon, Mary, and Jesus. We have different opinions on the nature of Jesus, and that is important – but I have so much more in common with a Muslim than I would with an atheist. 2. Because Muslims are wonderful. Anyone who is surprised by me saying that has probably never travelled to a Muslim country. The hospitality, the kindness, the instinctive respect for Christianity (yes, I mean that! ), the constant, unfailing kindness. 3. Most importantly, because Jesus commands his followers to treat others with love. This is the Golden Rule, the chief summary of the teachings of Jesus, whom Christians recognise as the son of God. We are to love others and to live in peace with them. Does that mean that we are to hide our own faith? Not at all; we are called to be ready to give an answer for the hope that we have, and to do so with gentleness and respect. Am I less of a Christian for loving Muslim people? Well, was Jesus any less of a Christian for loving Samaritan people, the enemies of his day? If we continue to love only our colleagues, our friends, our families, the people who share our nationality or skin colour or religion, the world will continue to be a divided and suspicious place. If, on the other hand, we are able to overcome the fences that divide nationalities and religions, we might become agents of transformation, and the age-old mistrust between Islam and Christianity might finally be bridged. Do I love Muslim people? Yes, I do. And so should you. If Jesus had lived six hundred years later then he would have done so too.